Up-and-coming metallers Rise To Remain have announced a 19-date UK tour in support of their debut album, which will be titled 'City Of Vultures' and is due for release on 5 September. The band recorded the album at the end of last year with producers Carl Bown and Colin Richardson (Slipknot, Machine Head, Trivium). 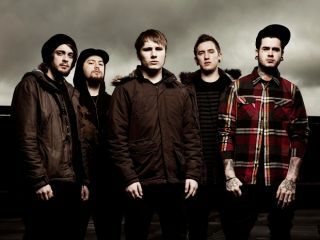 Two days after the release of 'City Of Vultures', Rise To Remain will then head out for a 19-date UK tour throughout September and you'll also be able to catch them at next month's Sonisphere festival. Rise To Remain are interviewed in Total Guitar issue 216 (on sale 10 June to 7 July). Check out the band's video for 'The Serpent' below.